Estella's Revenge: The Spring 2015 Bloggiesta Wrap-Up! The Spring 2015 Bloggiesta Wrap-Up! The first week-long Bloggiesta is winding down, and I'm pleased as punch with my progress! I didn't do everything on my list, but I ended up adding some tasks and tackling some things I didn't think I'd have time for at the outset of this event. Clean up media library and delete duplicated files - Nay! Back up my blog - Done! Write and schedule posts, especially comics ones - Done! Two for Panels! Participate in a couple of Twitter chats - Did six of seven! Wooo! Check out the mini challenges for some new suggestions - A few. Will check out more after the event. Learn how to podcast...because that's easy, right? - Ha! No, not this week! Addendum: Update "About Me" and other pages - Done! Addendum: Remove cluttery elements from sidebar - Done! Addendum: Started on Dewey's 24 Hour Read-a-Thon tasks in a BIG way! It was a fairly slow week at work, so I had a little extra time. I also managed to take part in Trish's A Day in the Life event and shared the best blogging advice I've received. Winner of the $15 e-gift card from my "Clean Your Reader" mini-challenge is Gaby from Oh My Books! Congratulations! How did your week go? I've had SO much fun, but with all this activity I haven't had much time to read! I'm off to do that now and hope you're having a great Sunday! You did great! I am still waiting excitedly for your blog ;) I hope you get a lot of reading done and enjoy your Sunday! Thank you! It was a glorious weekend. I wish it was still going! I told Trish earlier that she was a blogging rock star (on Twitter) but now I'm thinking that really YOU are the blogging rock star! Really, you continue to rock on. We're all blogging rock stars 'round here. You included, Bryan! I'm with Bryan. You are all blogging rock stars. Your post on freely was very inspiring - thank you - now I just need sometime to play with it! Yes! So excited to get the readathon stuff going. It's going to be a wild, wooly month getting everything put in place! Glad you liked the Feedly post! It looks like you had a very productive week! I need to go through my media and delete the duplicates and the ones that are no longer relevant on my blog. Maybe next bloggiesta if I remember, lol. Good job on accomplishing all you did! I did! I'm so glad, too. I needed some productive in my life. lol I'm kinda bummed that I didn't get around to deleting dupes, but one of these days. Yes m'am! I keep looking at the pretty mic and thinking I need to get on it! Podcasting would be really cool. I need to learn how to do a vlog post. I only know how to do the basic recording to uploading on youtube. I have no idea how to add fancy features or cut and edit. Very impressive! I love the simplicity of a clean sidebar (mine really needs some attention!) and just re-read your About Me feature (again, something I need to update). I just noticed that you read The Testament of Mary and need to see if you shared a review. I'm listening to Nora Webster (Toibin's latest novel) and can't decide if I want to continue. I'm near Chapter 12, though, so I hate to quit after spending so much time with it. Have a great week, Andi! Thanks, Les! I haven't done a Testament of Mary post, I don't think. It was just ok for me. Amazing job, as always! I didn't participate, but I do want to check out the mini-challenges to see if there are any helpful suggestions. I tend to treat every day as a mini-Bloggiesta basically because my OCD won't let me get away with putting off maintenance stuff like that. Thanks! There were some really cool minis I need to go back and explore. OCD = productivity! As ever, I admired all the Bloggiesta participants from the sidelines! I did happen to change my blog theme around Bloggiesta time, but it was a total coincidence of timing -- Google happened to email me then to let me know my previous theme wasn't working on mobile devices. 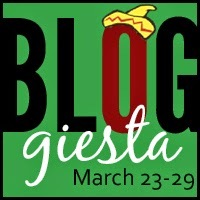 Congrats to Gaby and to all the Bloggiesta participants for just being awesome! Eewww to themes not working on mobile! Glad you got it switched out! 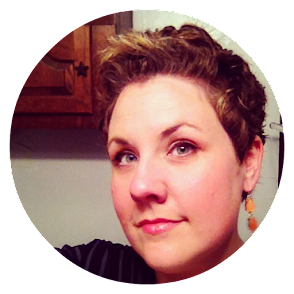 Congrats on getting so much accomplished during Bloggiesta! I finished most of the items on my list, but still working on a few. Good luck with the podcasting!